Can I benefit from lettings relief? I lived in my mother's flat for two years from when she inherited it in 1972 until I went to University. I also lived there off and on over the next five years, during holidays and between jobs. In 2013, my brother and I inherited the flat. In your answer to the question ‘What is Private Letting Relief?’, you identify that ‘The Inland Revenue states that the private letting relief can be used where: A) you sell a dwelling house which is, or has been, your only or main residence; and B) part or all of it has at some time in your period of ownership been let as residential accommodation. Would this apply in my case, even though I didn't own the flat at the time it was my main residence? Unfortunately, only the time period that you actually had ownership of the property counts. The fact that you lived in it beforehand doesn't count. If you have never lived in it since 2013 then this property has never qualified as your main residence, so the letting exemption cannot be applied. 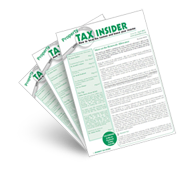 See www.gov.uk/hmrc-internal-manuals/capital-gains-manual/cg64470 and CG64930.